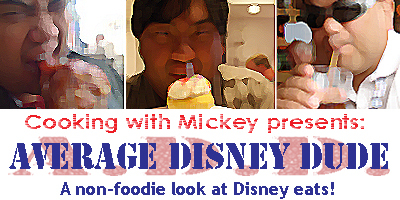 Greetings foodies and Disney fans! This month's Top 5 list is geared for the lovers out there. 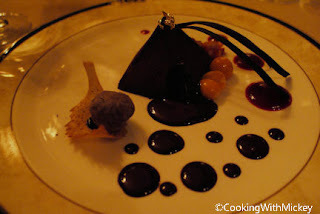 Valentine's Day is here and along with the sounds of "Bella Notte" playing in the background I've put together a list of my favorite places to have a romantic dinner at the Walt Disney World resort. I've selected the following restaurants in terms of food (items, taste and plating), service, atmosphere (theming, noise level) and overall romance factor. I've also taken into count various reviews and ratings found on websites and guide books to compile this list. Lastly you should know that I've been able to experience all of these locations myself several times over the past eight years celebrating anniversaries and special occasions so without any further a ado here's this month's Top 5. For a restaurant that is located inside Disney's Hollywood Studios it is surprisingly quiet and has amazing food and service to boot. If you plan having your meal upon the restaurant's opening try to get there a bit early and make sure when you reservation is booked you mention your special occasion. You just may be chosen to participate in a special ribbon cutting ceremony - which my wife and I were lucky enough to experience! The restaurant manager played up the glitz and glamour of Hollywood by making us walk the red carpet in front of their "paparazzi" taking our pictures. Those same pictures were made part of a special menu that were were presented at the end of our meal. Sure it was charming but that what makes dining in the parks so special, memorable and unique. Either way be sure they know you're celebrating something special with your loved one, they just might go out of their way to show you how much they appreciate you spending your time with them. My tip is to be sure to bring a folder or picture tube with you to keep those personalized menus from being crumpled. Jiko – The Cooking Place fuses the bold flavors of traditional African, Indian and Mediterranean cuisine at Disney's Animal Kingdom Lodge. Twin wood-burning ovens roar and the soothing, warm colors of an African sunset bring energy to this remarkable restaurant. The menu features culinary classics with an African flair. Delight your palate with dishes that change seasonally, such as braised short ribs, Durban shrimp curry and Peri Peri roasted chicken, along with conventional favorites. Take a culinary tour of Africa with tantalizing appetizers such as grilled wild boar tenderloin, crispy beef bobotie roll and brick oven-fired flatbreads. Watch the chefs prepare each meal in The Cooking Place, a show kitchen with a rich atmosphere befitting the beauty of this unique restaurant. To say that Jiko is for wine lovers is an understatement. This place has an exceptional array of wines to thrill or chill every sense. It's no wonder that this restaurant has so many wine awards. If you are a wine novice have no fear. This is the perfect place to get some knowledge from some of the best sommelier (wine experts) around. Jiko Wine Dinner Series: Four times a year, Jiko partners with renowned winemakers from South Africa to take you on a culinary journey. The chefs prepare a 6- to 8-course meal carefully designed to complement the unique characteristics of the African terroir. As you dine, the winemakers paint a picture of their vineyards through the taste of their wines—and Jiko's Wine Room transforms into a mixture of flavors, friends, aromas and conversations that go into the night. Jiko Wine Tastings: Every Wednesday, explore the South African wine regions as you taste unique wines paired with artisanal cheese. 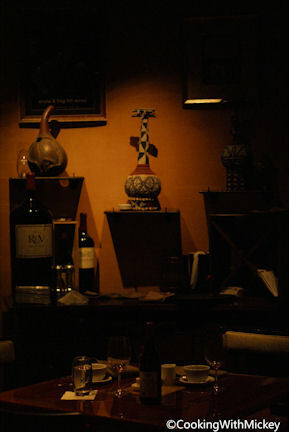 Jiko is a great place for a nice intimate dinner for couples or with a nice group of friends who like adventurous food and exotic wines. If you're up to experiencing something different than the norm than this place will not disappoint. Flying Fish Café is a Signature Dining restaurant serving fresh seafood in a high-energy, upbeat setting at Disney's BoardWalk. Specialties are prepared with flair right before your eyes in the onstage kitchen. The Flying Fish Café has great ambiance with nice high ceilings and its Boardwalk theme. 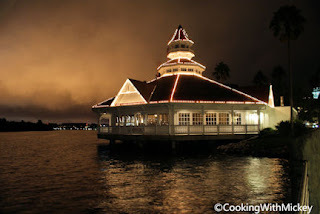 I find this restauaunt along with Narcoossee's is a great alternative to the much more popular (and more difficult to get reservations at) California Grill at Disney’s Contemporary Resort. I also find this restaurant more quite as the Cali Grill seems to always have such a loud room. I suggest trying the artisan cheese plates along with their wine parings. Those experiences are always on my Disney "Must Do" list should my wife and plan dinner there. Narcoossee's serves a spectacular selection of fresh seafood at Disney's Grand Floridian Resort & Spa. A Signature Dining restaurant, Narcoossee's offers dinners with a coastal theme—seared grilled scallops, crab-crusted halibut, grilled wild king salmon and steamed whole Maine lobster from North American waters. Narcoossee's is one of my favorite signature dining experiences and has been the most consistent, along with the Flying Fish over the course of 8 years by all accounts. There is nothing like sampling the best surf and turf with some of the best wait staff you will ever experience. 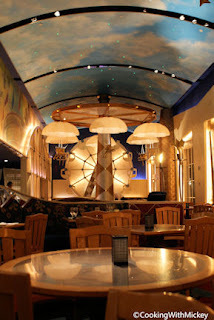 My tip is to book your dinner around the same time the Wishes fireworks show in Magic Kingdom theme park takes place. Enjoy the world famous almond crusted cheesecake while watching the fireworks from the deck that overlooks the Seven Seas Lagoon. Now that's a dinner to remember! Victoria & Albert's restaurant in Disney's Grand Floridian Resort & Spa offers a unique dinner menu each night of exceptional, contemporary American cuisine served with unparalleled charm and elegance. 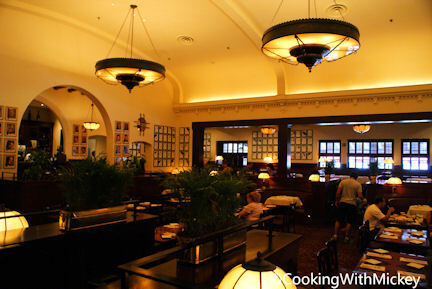 Victoria & Albert’s is the premier dining experience of any of the Disney Parks worldwide. My wife and I were able to save up and gift this experience to each other for our anniversary a few years ago. It was the dinner experience of our dreams. The service was magnificent and the food was sublime. In terms of romance the lighting and decor were just right PLUS there were no screaming children either as they do not accept children under the age of 10 years of age. You should also be sure to wear your Sunday best since the dress code is strictly enforced. This is a good thing since you are paying at minimum $125 per person. For the perfect romantic evening try doing the wine pairing and Chef's table experiences. Make sure you bring a lot of money AND be sure to bring your appetite. Lastly be sure to block out around 3-4 hours to dine there. Depending on what you order and weather or not you do the wine pairing will determine how long you will be there for dinner. After it's all said and done don't expect to be hitting the parks. You should consider doing a leisurely stroll around the resort or head back to your room for a well deserved rest. That's this month's list for you. I hope you have a very magical Valentine's Day sharing love with those you care about. Please share this article and our websites (CookingwithMickey.info and JediMouseketeer.com) with your loved ones today! That said I leave you with quite arguably the most romantic animated scenes of all time reinacted by live actors. I now present to you the famous dinner scene from Disney's "Lady and the Tramp." Enjoy! Support CookingwithMickey.info and purchase Disney's Lady and the Tramp on our Amazon shop today HERE!